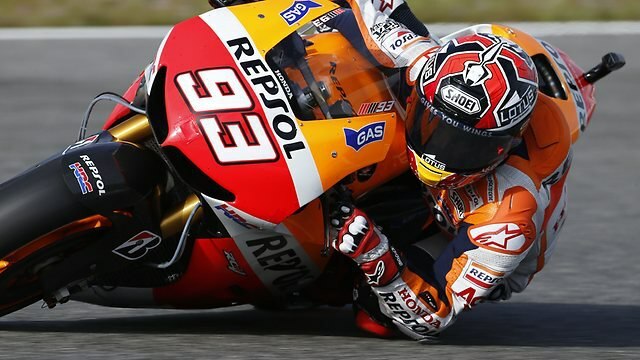 Defending Moto GP world champion Marc Marquez romped to a fourth consecutive race win of the season at Jerez in Southern Spain. It was a masterclass display by the 21 year old Spaniard finishing clear of Valentino Rossi, a 6 times winner in Jerez, with Honda team mate and compatriot Dani Pedrosa coming home third. Marquez also emulated his idol Rossi by becoming the first rider to win the first four races of the season since the Italian legend achieved the feat back in 2002. Other than the opening few laps when the lead changed hands it was Marquez that controlled the race from the front. Rossi had to fight hard to keep a surging Pedrosa at bay for the final lap while Lorenzo continued his miserable start to the season finishing a distant fourth. 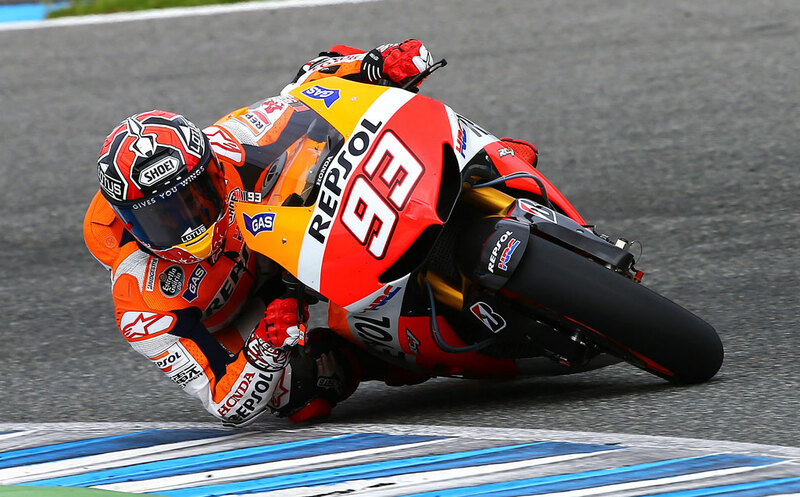 It seems there will be no stopping Marquez this season, the defending champion has already secured maximum points from the first 4 rounds and already has a 28 point lead over Pedrosa, with Rossi a further 11 points adrift. Next stop, Le Mans in 2 weeks and the Grand Prix of France. Dani Pedrosa won last year with Lorenzo and Rossi both former winners at the iconic circuit.